The first ever sentence handed down by the International Criminal Court saw Thomas Lubanga Dyilo given 14 years for recruiting and using child soldiers in armed conflict. This is a historic moment for international justice, Amnesty International said. 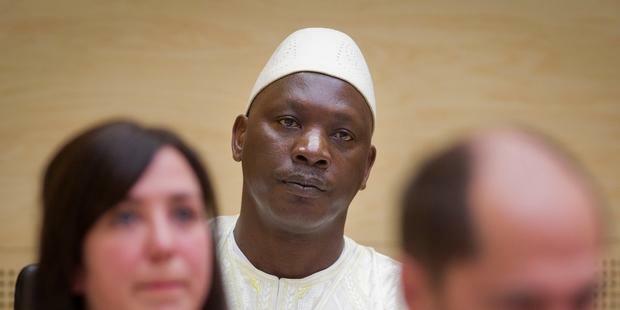 The sentence takes into account that Lubanga has been in custody since his 2006 arrest. Prosecutors had originally asked for a 30-year sentence. “This first sentence is a historic moment. It puts the whole world on notice: anyone who recruits or uses children as soldiers faces trial and imprisonment,” said Michael Bochenek, Amnesty International’s director of law and policy. The prosecution’s decision to limit the charges to conscription, enlistment, and use of child soldiers meant that the court could not consider allegations of other crimes committed by the FPLC under Lubanga Dyilo ? including crimes of sexual violence ? potentially denying justice and reparation to many more victims. The court did however add these crimes in March to the arrest warrant already issued for one of Lubanga’s deputies, Bosco Ntaganda who is currently leading the armed group, M23 in North Kivu province, Eastern Congo . “It’s critical that defendants in subsequent trials face a full charge sheet rather than one reduced for expediency,” Bochenek said. One of the three presiding judges, has written a letter expressing her dissent from the majority decision for the sentence, saying that in her opinion it disregarded the extent of the damage the victims and their families suffered and the harsh violent and sexual punishments meted out to conscripted children. The presiding judge, Adrian Fulford, said, however, that whilst the crimes were indeed harsh, the court had taken into account the extent of cooperation that Lubanga had offered throughout his trial. Lubanga was first arrested in March 2006, for crimes he committed in 2002-2003 when he forcibly conscripted child soldiers into the FPLC （Forces Patriotiques pour la Liberation du Congo）. The trial was scheduled to start in 2007, but finally got under way in 2009, with a final conviction in March 2012. Thomas Lubanga was the alleged founder and president of the Union of the Congolese Patriots （UPC） and commander in chief of its armed wing, the FPLC. The FPLC was involved in numerous human rights abuses, including the abduction and use of children as soldiers. The recruitment and use of children in armed conflict by foreign and Congolese armed groups continues. The Congolese national army has also used child soldiers. Bosco’s M23 forces continue to forcibly recruit civilians including children. Amnesty International received several reports of civilians being killed after they refused to join the M23. Now the process of reparations for the victims of these crimes will get under way. But because the verdict only ruled on a relatively narrow set of crimes, the pool of victims eligible for reparations is smaller than would have been the case had the crimes been extended. In fact, the reduced pool is just a mere fraction of those who actually suffered abuse at the hands of these men. Prosecutors also failed to recover any assets linked to Lubanga to help pay for his crimes, so the burden of payment will fall on the ICC ‘Trust Fund for Victims’ and state governments. The Trust Fund increased its reserve for ICC prosecuted crimes in March from ￡158,000 （200,000 euros） to ￡951,000 （1.2 million euros） in the wake of Lubanga’s conviction, but even with that increase it will find it difficult to cope with large reparation claims, particularly as national governments have been cutting back on their contributions to funds like these in the face of global financial crisis.